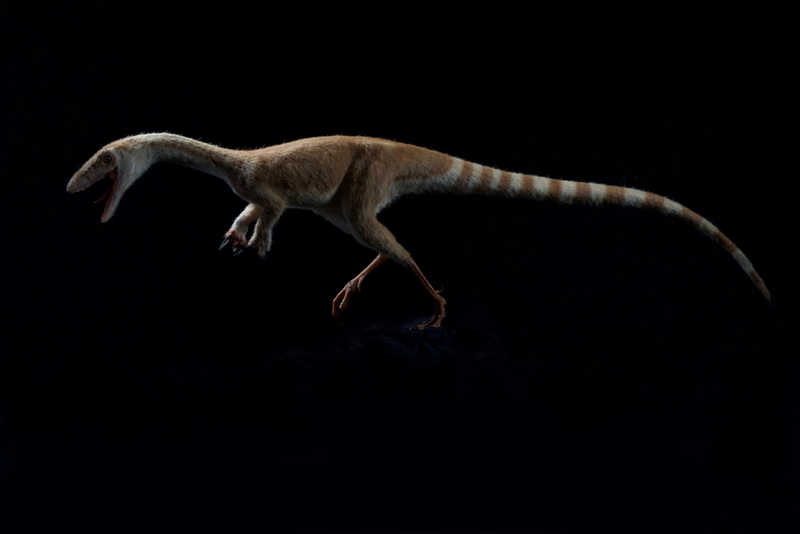 Sinosauropteryx (1 m.). Made for Natural History Museum in Oslo. Sinosauropteryx were small ground dwelling carnivores of the rainforest. 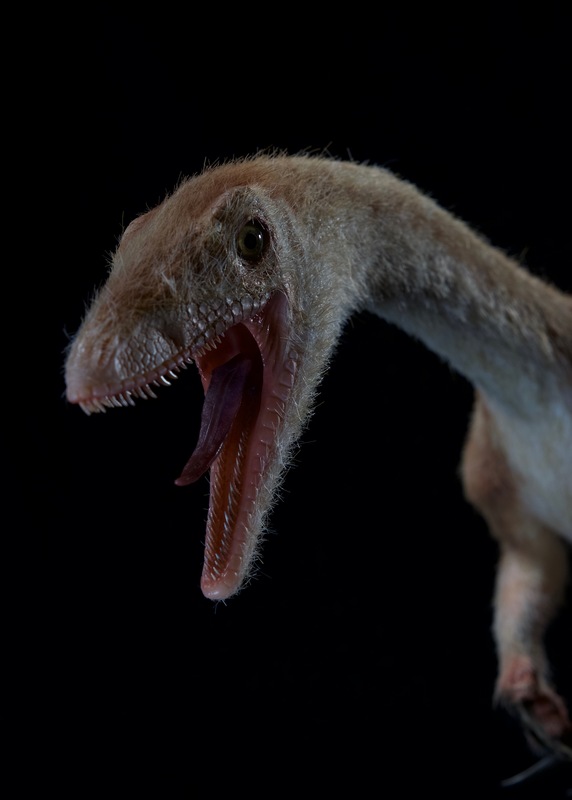 They grew up to 1 m in length from nose to tail and ca 30 cm tall, and lived in what is now northeastern China, during the early Cretaceous period. Fossils have shown evidence of a covering of some of the earliest primitive feathers over much of the body. Coloration of these feathers have also been preserved, making Sinosauropteryx the first non-avialian dinosaurs where colouration has been determined. The colouration includes a reddish and light banded tail. Well-preserved fossils of this species illustrate many aspects of its biology, such as its diet and reproduction: Stomach content have included lizards, and pairs of eggs have been found in the oviduct. Each egg measured 36 mm (1.4 in) long by 26 mm (1.0 in) wide. The presence of two developed eggs suggests that Sinosauropteryx had dual oviducts and laid eggs in pairs, like other theropods.